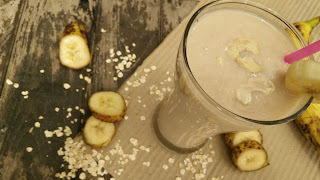 Perfect smoothie for weight loss, Simple and healthy breakfast recipe which is very nutritious as well. 1. In a jar, add all ingredients and blend to form a nice smoothie. Garnish with cashew nuts. .